We offer PVC Cutlery Tray to our clients. Brand : Agrahan Engineers Pvt. 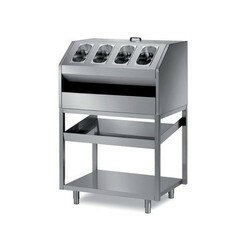 Ltd.
We are involved in providing the excellent range of Plastic Cutlery Tray. Moreover, we offer this product at nominal costs. 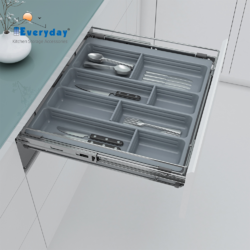 Plastic Cutlery Tray, Size: 17" X 20"
Product detailsCutlery tray in a Gray colour for the 3 drawer 500mm base unit. We offer Spoon Tray to our clients.